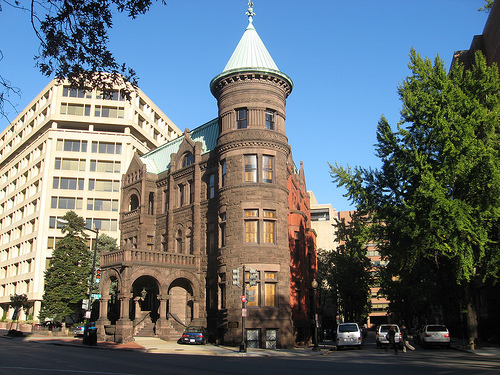 It’s been a tough week for D.C.’s historic landmarks. Beginning on Friday, a vandal armed with green paint splashed a path through the District, defacing monuments, statues, and churches along the way. 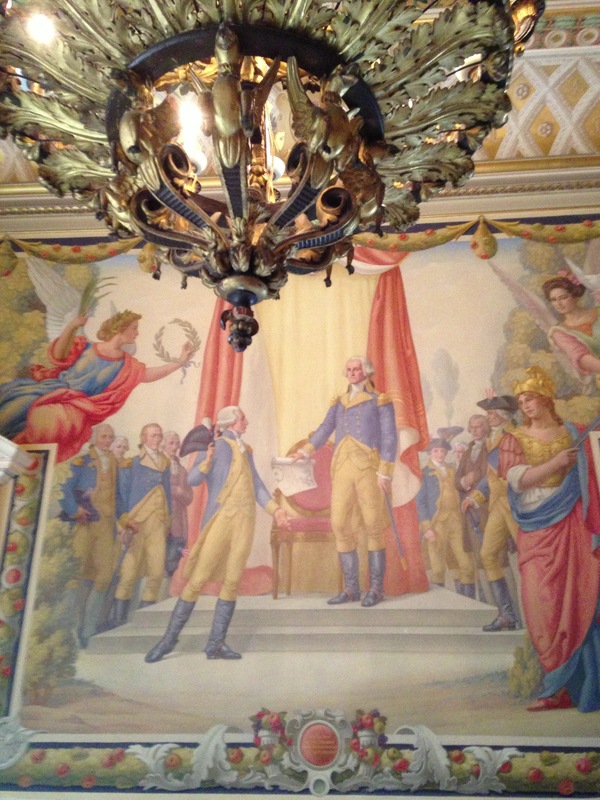 I was in San Francisco when I heard the news that paint had been thrown onto the statue at the Lincoln Memorial. And finally on Monday, green paint inside the National Cathedral, where a pipe organ and two chapels were splashed – one of which served as President Woodrow Wilson’s initial burial site. 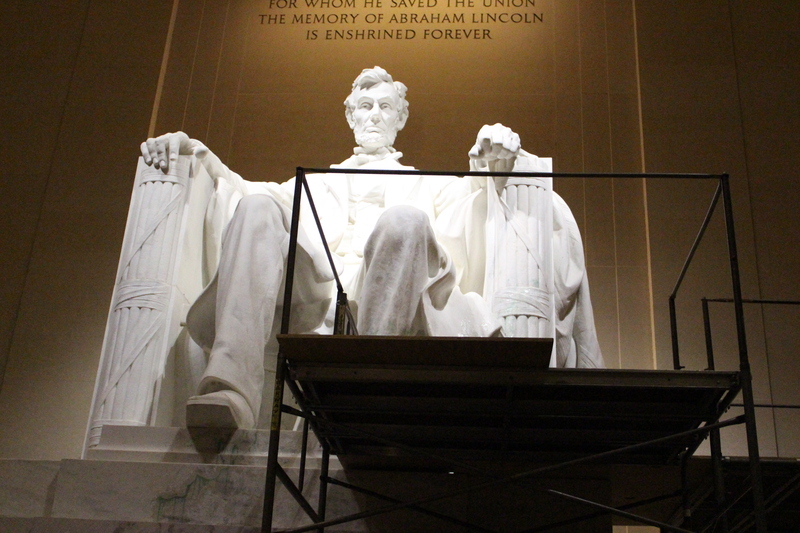 The Lincoln Memorial undergoing cleaning to remove green paint. 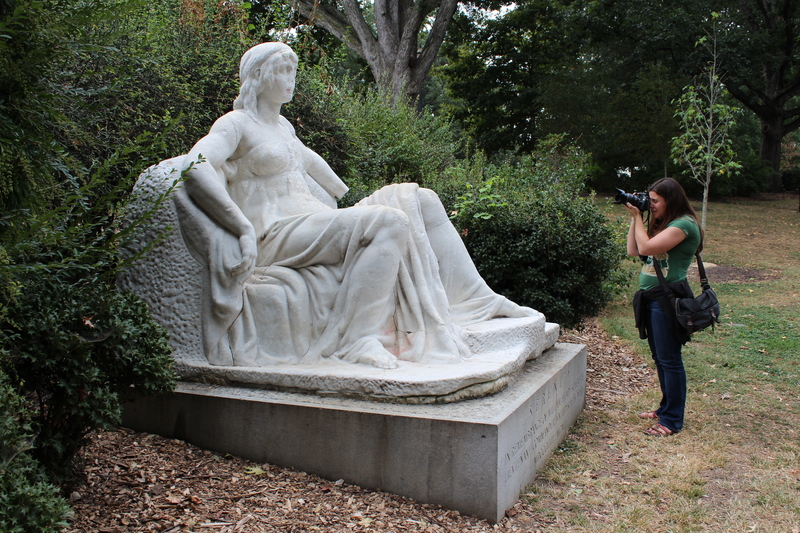 Over the past week, there has been a celebrity drawing crowds to the Botanic Garden. It’s a rare plant from the rain forests of Sumatra known as the titan arum – growing up to twelve feet in height, and boasting one of the largest flowers in the world. The catch is that it rarely ever blooms – from once every few years to once every few decades. When it does, it releases the stench of death far and wide. And then the bloom withers away within a day or two. 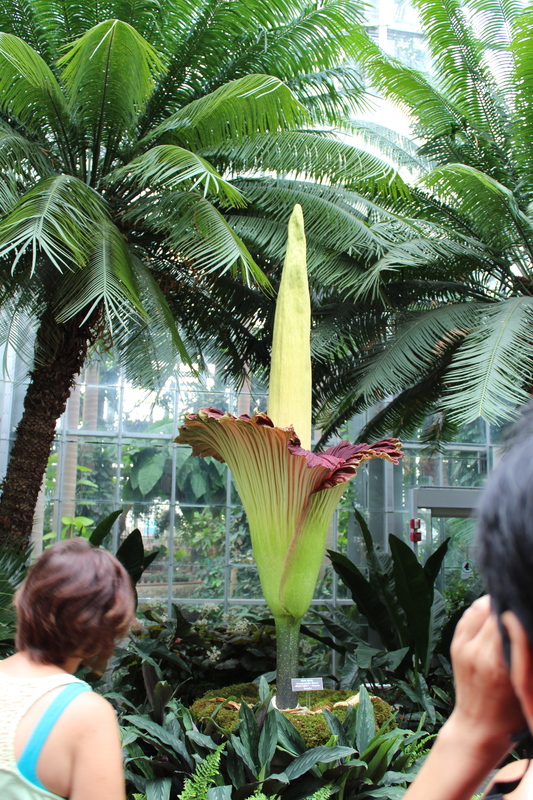 That’s how it earns its other name – “the corpse flower” – which is also the name of the next Tim Burton film. A flowering titan arum has only been in display in the U.S. a few times, and the last time it was at the Botanic Gardens was in 2007. The titan arum in full bloom. There have been a lot of significant Civil War anniversaries as we pass through the sesquicentennial (that would be 150 years) of America’s greatest conflict. Today marks one of those – the failed assault on Fort Wagner by the 54th Massachusetts regiment, one of the first African-American infantry units to fight in the Civil War. If you’ve seen the movie Glory, then you’re probably familiar with the story and its significance. But what does that distant battle off the coast of Charleston, South Carolina have to do with Washington, D.C.? For me, this anniversary hits close to home – literally. 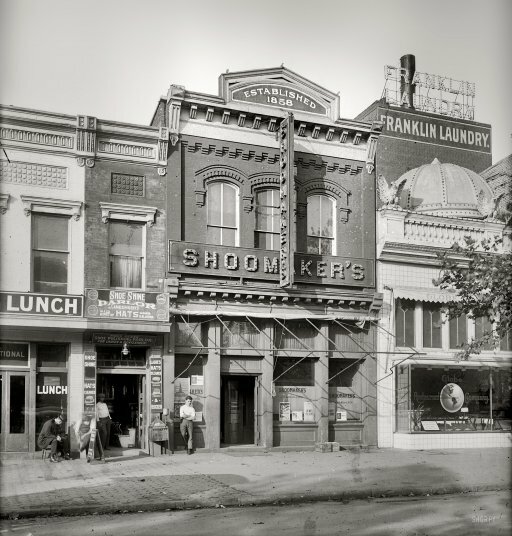 I live in D.C.’s Shaw neighborhood, an historically African-American part of the city near U Street. The neighborhood is named after Colonel Robert Gould Shaw from Boston, who was the commander of the 54th Massachusetts (and played by Matthew Broderick in the movie). 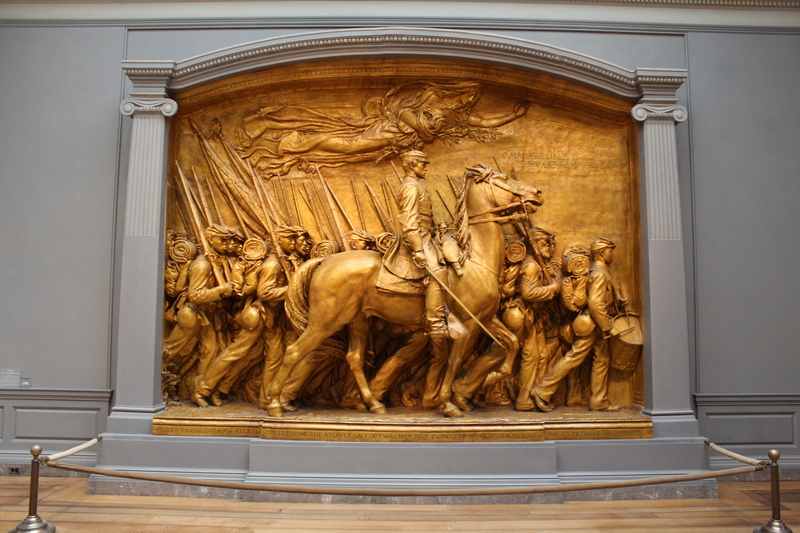 NPR had a story today on the influential Shaw Memorial by sculptor Augustus Saint-Gaudens – an amazing piece of bronze sculpture depicting not only Shaw, but his regiment of soldiers marching out of Boston and off to war. Shaw Memorial’s plaster sculpture at the National Gallery.